This is an investor's dream. 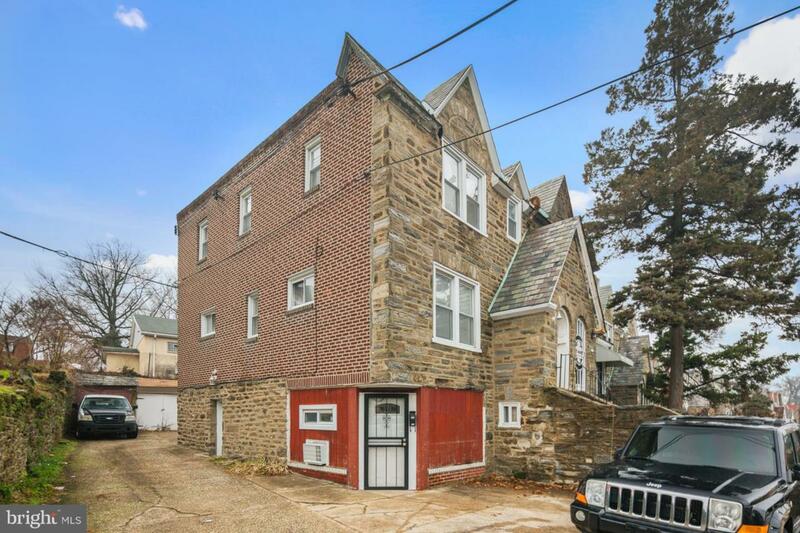 Location, location, location- corner property on a tree-lined block that is walking distance to LaSalle University, Einstein Hospital, and Olney Transportation Center. Sun-filled and spacious!Currently zoned as a duplex with LEGAL ZONED COMMERCIAL SPACE ON FIRST FLOOR. The commercial space is perfect for beauty shop, office, store and more. All units are currently rented under market value. There is 2 Bedroom apt on third floor being rented for $625, and a 1 Bedroom apt on second floor being rented $600. The ground level commercial space with a separate entrance currently being used as a one bedroom apt that is occupied with a rental income of $550 per month. Each unit is in great condition and well maintained. All units have electric baseboard heat. There is a separate, secured garage space in rear of property that can be rented out for extra income, as well as 2 parking spaces directly in front of property. The property will be sold fully occupied with month to month leases. Private, FHA and conventional lending available upon request. Please contact listing agent Chris Branin at 609-610-4301 for more information. Our preferred lenders have good rates and will close the deal. Take FULL advantage of this income-making opportunity as well as "owner occupants" - schedule your showing TODAY...this property will not last. Please make appointments on Showing Time. Showings will be held Wednesday 12-2pm, Friday 4:30-6:30pm and Saturday 1-3pm. Listing courtesy of Re/Max Experts.